This week's Music Monday is Armed Forces Salute, arranged by Bob Lowden. I played this awesome arrangement many Memorial Day Sundays with the Tulsa Bible Church Orchestra. 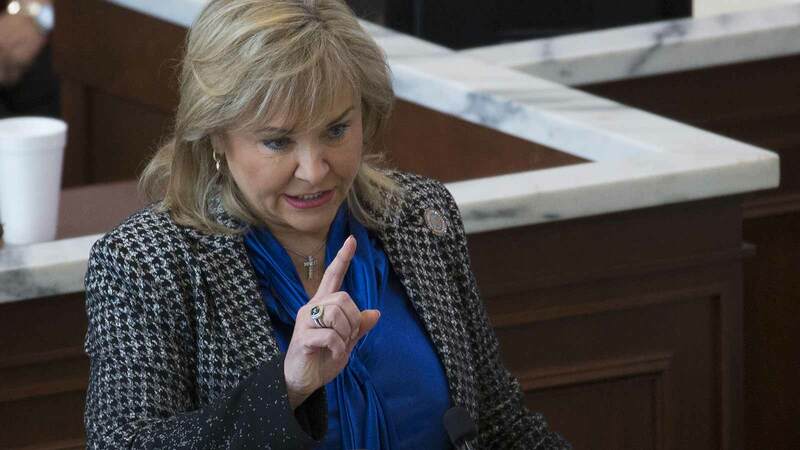 OKLAHOMA CITY — [On May 20th] Governor Mary Fallin vetoed SB 1552 which would allow for the revocation of medical licenses for doctors who perform abortions after viability. The measure has an exception to save the life of the mother. The Oklahoma Senate passed the bill yesterday 33-12. SB 1552 was authored by Sen. Nathan Dahm. 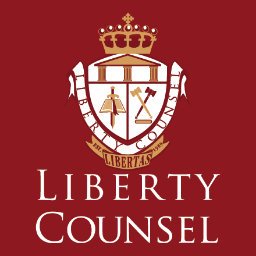 Yet this legislation was initiated by a local pastor, Paul Blair, with the support and guidance of Liberty Counsel. Mat Staver met with the Attorney General, Governor Fallin and members of the House and the Senate to discuss the proposed bill late last year. The governor approved the bill and gave her assurance she was behind it. “As one who proclaims to be pro-life, her actions run counter to her words,” said Mat Staver, Founder and Chairman of Liberty Counsel. “This is a despicable betrayal of her word and of innocent children whose lives will be cut short because of her cowardly act. 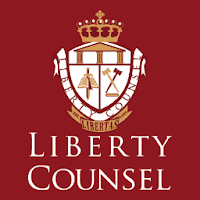 I encourage the Oklahoma legislators to veto the governor and Liberty Counsel stands ready to defend this bill,” said Staver. This week's Music Monday is Paid in Full (Through Jesus, Amen). 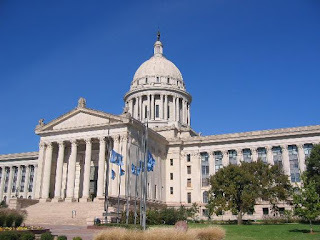 OKLAHOMA CITY – Governor Mary Fallin, who has a long history of championing and signing pro-life and pro-family legislation, today vetoed a measure that would have banned abortion in the state because the bill was vague and would not withstand a criminal constitutional legal challenge. Fallin is the most pro-life governor in the nation. She has signed 18 bills supporting pro-life values and protecting the health and lives of mothers and their unborn children. Senate Bill 1552 would have made it a felony for physicians to perform abortions. It also contained a provision to revoke their medical licenses unless the abortion was necessary to save the life of the mother. “The bill is so ambiguous and so vague that doctors cannot be certain what medical circumstances would be considered ‘necessary to preserve the life of the mother,’” Fallin said. “The absence of any definition, analysis or medical standard renders this exception vague, indefinite and vulnerable to subjective interpretation and application,” she wrote in her veto message. Muskogee, OK – State Representative George Faught (R-Muskogee) has released a public endorsement of Jarrin Jackson, the Republican candidate opposing Congressman Markwayne Mullin in the June 28th primary election. Faught was the runner-up in the GOP runoff election for the 2nd Congressional District seat in 2012. He is the first state-level elected official to publicly endorse against the incumbent. “In a time when our beloved country is teetering on the precipice, it is our duty to send a true patriot to Washington, D.C., who will fight to save our Republic. Former US Army Captain Jarrin Jackson is that man. His leadership, integrity and character has been forged in the trenches of the heat of battle and we know we can trust him to take on the establishment and return our nation to the Constitutional principles that America was founded upon,” said Faught. Noting blatant inconsistencies between Mullin’s campaign promises and his record as a congressman, Rep. Faught stated that the people of the 2nd District deserve honesty and integrity in their representative. Learn more about Jarrin Jackson and his campaign for the 2nd Congressional District at JarrinJackson.com, or on Facebook. 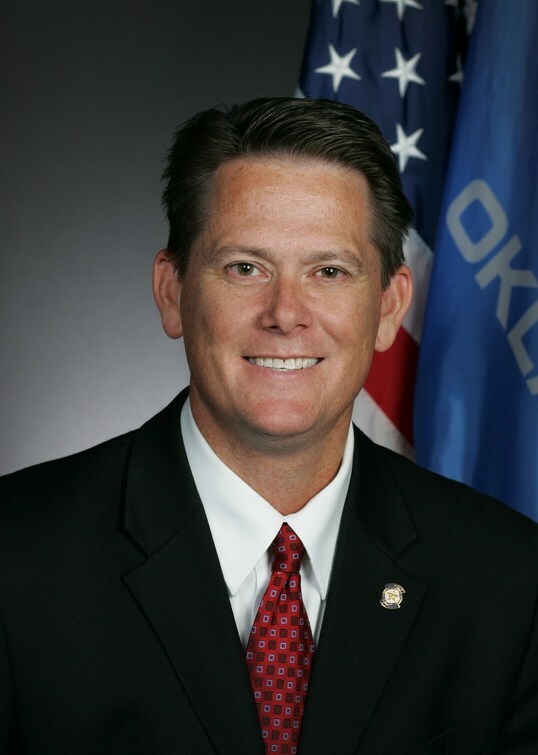 Rep. George Faught (R-Muskogee) is currently serving his fourth term in the Oklahoma House of Representatives and chairs the Administrative Rules Committee. He was the first Republican ever elected to House District 14, which covers eastern Muskogee and western Cherokee counties. The last few weeks of a legislative session tend to be the most dangerous, as far as bad legislation is concerned. That danger increases if the legislature is facing a budget shortfall, like they are right now. House Bill 3213 was filed this week as a "shell bill" - an empty measure that serves as a vehicle to "plug" language into during the committee process. Yesterday, a committee substitute was filed, filling the empty bill with a bunch of nonsense. telephone answering services and welding services. The fiscal impact statement didn't have specific figures yet, but expanding the sales tax to cover services would be a massive tax increase on Oklahoma citizens and a further burden on small businesses and employers. Under this measure, our family carpet cleaning business (and customers) would be affected. Another measure would have raised the fuel tax by three cents -- it failed in committee. Another measure would have raised the cigarette tax by $1.50 -- it failed on the House floor this evening, but could possibly come back. Until the Legislature adjourns Sine Die, nothing is truly "dead" in the final weeks of the legislative session. Because enough conservative Republicans held the line, Governor Fallin went to the House floor to [unsuccessfully] try to get the Democrats to help pass the tax hike -- oh the irony... a self-proclaimed "conservative Republican" begging the Democrats to vote for a tax increase! The Democrats are holding out for the Medicaid expansion (see "ObamaCare by another name"). Another measure passed by the House requires that all vehicles registered in Oklahoma pay a $5 fee to receive new license plates next year (regardless of if you need a new one or not). I'm sure I missed some other tax-hikes and fee-hikes, but these will do for now. Go to OKLegislature.gov, and scroll down to the bottom right to find who your state legislator is. Contact your legislators and tell them to vote against any tax increases. You can also do it through this page from Americans for Prosperity and this page from OCPA Impact. Instead of balancing the budget, they want to expand ObamaCare and increase government spending by billions. Who's going to pay for it? You are. You, and working families across Oklahoma. Call your state legislator today and tell them 'Enough is enough'. The Oklahoma Health Care Authority's Medicaid “rebalancing” plan is being considered by lawmakers. The plan is simply Obamacare Medicaid expansion rebranded. As conservatives concerned about fiscal responsibility, we urge lawmakers to reject it. The rebalancing scheme is a policy that expands the scope and size of the federal government and increases dependency on government programs. It removes one more state barrier that separates us from a single-payer system in the United States. And of course it would further balloon state taxpayer spending by $1 billion (at a minimum) over the first 10 years and would increase the federal debt by $10 billion. According to OHCA, the plan would add some 175,000 to the Medicaid rolls while promising to shift a similar number to the flawed Obamacare private market in the future (though it's quite unlikely that portion of the plan will ever happen). Yet one study suggests that half or more of those targeted for expansion are already covered by job-related health insurance. As the Congressional Budget Office noted, this creates an incentive not to work. The 175,000 targeted by OHCA are able-bodied adults. The proposal would increase from 27 percent to 33 percent the number of Oklahomans dependent on health care entitlements in addition to Medicare. A core element of the OHCA proposal is qualifying for Obamacare funds that would require gutting the Insure Oklahoma program by removing enrollment caps, work requirements and accountable cost sharing. This plan would simply force more Oklahomans onto the welfare rolls. Can anyone sensibly suggest that our strapped state or federal budget can afford another vast entitlement program? Nor can OHCA provide reliable cost estimates. The numbers keep increasing, meaning our liability is open-ended and guaranteed. Not one state using a similar plan has seen a reduction in costs to the state. All have increased. In fact the OHCA proposal is similar to an unfunded pension liability, except that the cost will have to be funded each year. Oklahoma has finally taken steps to address that pension budget hole; the state can't afford to open the spigot for yet another costly program. Supporters argue this is not expanding Medicaid because participants would be insured by private carriers. That's somewhat disingenuous because the funding mechanism — and more important, the financial responsibility — will be that of state and federal taxpayers. Oklahoma rejected the Obamacare exchange grant, saving the state hundreds of millions of dollars in state-based exchange cost overruns being experienced by other states. Now we're being urged to accept funds from the federal government along with their requirements to run a health care program, according to their rules. Coburn, a former Republican U.S. senator from Muskogee, has served thousands of Medicaid patients as a medical doctor. Parman, an attorney, has served as secretary of state for Oklahoma and secretary of commerce. This week's Music Monday is the Overture from the opera Carmen, by French composer Georges Bizet. May 11, 2016 (Broken Arrow, OK) - The 2010 Republican nominee for Oklahoma's 2nd Congressional District, Dr. Charles Thompson announced his endorsement of Republican Jarrin Jackson today. Jackson is challenging incumbent congressman Markwayne Mullin in Oklahoma's second district. For more information on Jarrin Jackson and his principled stands for Oklahoma and our country, please visit his campaign website: jarrinjackson.com, and Facebook at jarrinjackson1. We're just a few days away from the 2016 Oklahoma Republican Convention, and time is running out to register and get your Gala tickets, all of which can be done by clicking here. Prayer Breakfast – 7:30AM: Dr. Tom Vineyard, Pastor, Windsor Hills Baptist Church will lead the Prayer Breakfast celebrating the 68th anniversary of Israel's statehood. For full details on the convention agenda, click here. Also you'll find more information about the Friday night Gala Dinner with Carly Fiorina and the Convention details the following day by clicking here. Additionally, you will find links below for essential information regarding the proceedings at the convention. The Oklahoma Health Care Authority has proposed to “rebalance” our state Medicaid system, supposedly to better serve the poor. Unfortunately, a closer look at the plan reveals that it's just another attempt to backdoor an unaffordable Medicaid expansion. OHCA has provided few specifics about its plan, but we do know the basics. First, “rebalancing” would create a new health insurance entitlement for up to 628,000 able-bodied adults. OHCA says that only 175,000 would be added to the rolls, but in states that have already undergone “rebalancing,” actual new enrollment surpasses projections by an average of 91 percent. In fact, OHCA's own consultants have estimated as many as 628,000 able-bodied adults would be eligible under this plan. A study by the Lewin Group, a prestigious health policy consulting firm, found that more than half of those new Medicaid clients under the “rebalancing” plan are already covered by private insurance plans, most of them job-related. They aren't uninsured at all. Worse still, Oklahoma's Medicaid program already has a lengthy waiting list for truly needy children and adults with intellectual and developmental disabilities who have been waiting — for a decade in some cases — to receive Medicaid services. So this “rebalancing” would shift hundreds of thousands of already insured Oklahomans onto Medicaid while telling the most vulnerable to step aside. OHCA also proposes to deliver Medicaid services to these new enrollees through commercial health plans, which is doublespeak for implementing the Affordable Care Act expansion that our policymakers have already rejected. Other states that have followed this path found that shifting Medicaid patients to the exchange cost almost twice as much as simply broadening Medicaid. OHCA suggests a trade-off: shifting some 175,000 higher-income pregnant women and children off Medicaid and onto the exchange three years from now. But recall that all but one exchange health care provider have already pulled out of Oklahoma due to prohibitive losses. Who will underwrite this new coverage? OHCA has an answer: You will. The proposal is vague, as all plans for tax increases tend to be, but the agency has hinted at a combination of higher tobacco taxes and taxes on health care providers, which would inevitably be passed along to patients. This new revenue would be used to increase Medicaid provider rates, which already rank the 13th highest in the country. To hear OHCA talk, one would think the state denies health care to hundreds of thousands of Oklahomans. Yet Medicaid has already grown exponentially through the years. Twenty years ago, our state paid $315 million for Medicaid. In 2015, state taxpayers paid $2 billion to fund a program that now serves more than one out of every four Oklahomans. 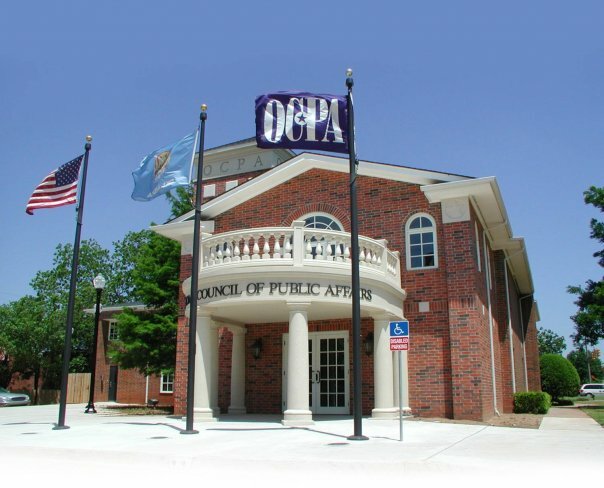 Small is president of the Oklahoma Council of Public Affairs. Ingram is vice president of research at the Foundation for Government Accountability. This week's Music Monday is L'Arlesienne Suite No. 1: Prelude by Georges Bizet. Click here to see previous Music Monday posts. Do you have a song you'd like to submit for a future Music Monday? Email me at JamisonFaught@MuskogeePolitico.com. May 4, 2016 (Oklahoma City, OK) -- The Oklahoma Conservative Political Action Committee (OCPAC) announced its endorsement of Republican Jarrin Jackson for Congress, who is challenging incumbent Congressman Markwayne Mullin for Oklahoma’s second district. The group voted overwhelmingly in support of the decorated combat veteran, with several citing disappointment in Mullin’s vote record of growing government and increasing the national debt to unprecedented levels. 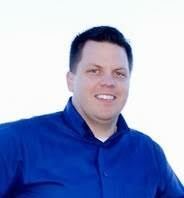 “Jarrin is a Jim Bridenstine grassroots conservative who will defend the Constitution. He won’t disappoint conservatives in District Two who are still wondering why Mullin voted for the Omnibus – a $19 trillion dollar debt disgrace,” former President of OCPAC, Charlie Meadows, said after the group interviewed Jackson. Jackson used Mullin’s record to justify his candidacy. “Markwayne Mullin consistently votes to grow government. From the Omnibus to education to Amtrak to the Ex-Im Bank, Mullin has a record of spending other people’s money to make government bigger,” said Jackson. Jarrin Jackson, a graduate of West Point and former Army Ranger, earned 2 bronze stars in service during two combat tours in Afghanistan. A 5th generation Oklahoman from Oologah, he and his physician wife Katie raise their two boys, Lloyd and Dale, in Claremore, Oklahoma. This week's Music Monday is My God Is a Rock, sung by The Master's Chorale from the Master's College in Santa Clarita, California. This was interesting to see, so in the future I'll probably try to get data that covers an entire year. 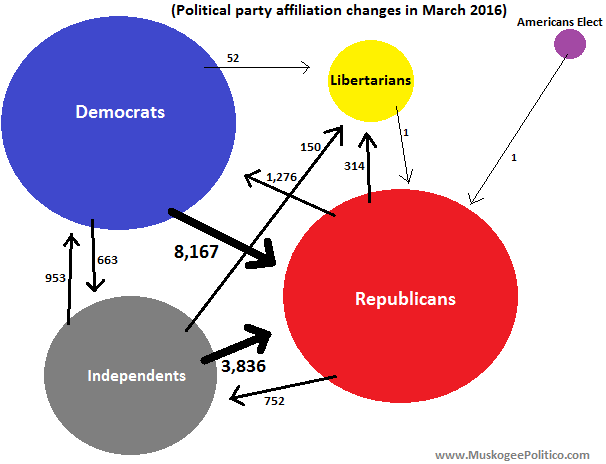 One voter made at least two registration changes during the last 8 days of March: something/unregistered to Libertarian to Republican. Talk about busy! One voter switched from Americans Elect to the GOP (AE is a recognized "political organization" as opposed to a "political party"; why there's a distinction beats me. 12 Oklahomans are registered under Americans Elect, with 5 of them here in Muskogee County). 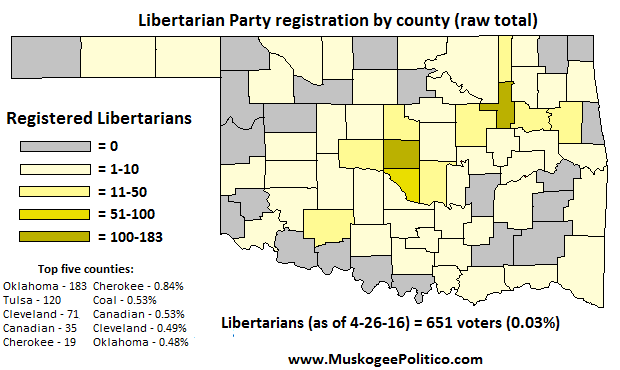 With the re-birth of the Oklahoma Libertarian Party, I've worked up a new voter registration map. After the Oklahoma Libertarian Party was officially recognized on March 21st and before the March 31st voter registration cutoff for the June primary, Libertarian voters registered in 55 of Oklahoma's 77 counties. 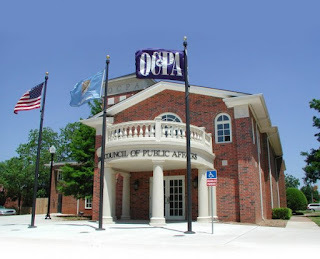 There are now 651 OLP members, or 0.033% of all registered voters in Oklahoma. The above map illustrates the raw total of registered Libertarians by county. Ironically, Oklahoma County has the highest raw total with 183, but is 5th in percentage (0.48%), while Cherokee County has the highest percentage (0.84%), but is 5th in raw total (19). The Oklahoma House Republican caucus meets today to elect the Speaker-designate for the 2017-2018 legislative term. 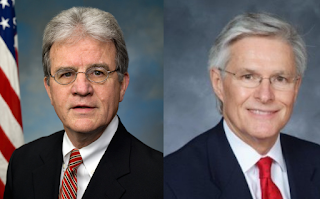 The leading candidates are Earl Sears of Bartlesville and Charles McCall of Atoka. Sears, aged 63, is finishing his fifth term and was first elected in 2006. He is currently the Chairman of the Appropriations & Budget Committee. Sears is a retired educator. McCall, aged 46, is finishing his second term as a legislator, having first been elected in 2012. McCall was mayor of Atoka from 2005 until his election to the state house. He is also the CEO of AmeriState Bank in Atoka.